The modern developments in Yoga in India can be classified into two categories: the preservative and the innovative. They represent two major features of Indian spirituality and Yoga. The traditional schools of Yoga represent the element or quality of creative preservation. The task or mission of this aspect of Indian Yoga is to preserve the essential insights and experiences of the past traditional systems of Yoga and with appropriate alterations or adaptation to make them accessible to the mind of the age. This preservative element is strong and persistent in the Indian spiritual tradition. When Swami Niranjananda, the present head of Bihar School of Yoga, a well-known institution in modern India engaged in teaching and disseminating the message of Yoga, was asked in an interview “are you a traditionalist or modernist” the youthful Yogi replied “I am very much a traditionalist. But I don’t believe in holding onto views pf the past. I believe in progression and evolution of thought. So you could call me an evolving traditionalist”. This progressive view of a traditional Yogi is not entirely due to the influence of the modern mind obsessed with the idea of change and progress. This evolutionary element is inherent in the Indian spiritual thought and practice. Even the preservative element in Indian spirituality is evolving and progressive. But in the Indian Yogic tradition there is also an equality persistent innovative element which brings new insight, experiments, and systems of practice which was not present or revealed, tested or practiced in the past. But we would like to admit here that it is problematic and controversial to precisely label a particular teacher or Yoga or a system of Yoga as preservative or innovative. For we don’t have full knowledge of all the Yogic systems and practices of ancient India. The knowledge that is available to us at present through the written word is only a tiny fraction of the knowledge that existed in ancient India. We must keep in mind that in ancient India most of the spiritual and Yogic knowledge was transmitted orally and personally, by spiritual methods, through well-established Master-disciple tradition. And even with the knowledge that was preserved and transmitted through the written word, much of it might have been lost or destroyed by the foreign marauders who raided ancient India. For example J. Krishnamoorthy’s teachings appear to be very unorthodox, original and innovative. But we can not say with any certainly that the insights of this modern seer are something entirely new which the ancient Yogis did not know. Interestingly David Frawley, a modern American Hindu thinker, in his book “Beyond Mind” presents the insights of J. Krishnamoorthy as part of a school of thought in the ancient Indian spiritual tradition. This proposition of Frawley is rather controversial. But we cannot also dismiss the proposition as the attempt of a traditionalist to appropriate a modern teaching into the fold of tradition. So in the discussion which follow, our views regarding who or which is preservative or innovative are personal, tentative and suggestive and not dogmatic. They are the personal view of the author based on the present knowledge available to the author with all the limitations of such a knowledge and also that of the human personality and its personal idiosyncrasies. But we will retain the distinction between the preservative and innovative aspects of Indian spirituality because they represent two important features of Indian Yoga. And in our view the great spiritual personalities and their teachings which we will be discussing, represent these two aspects of Indian Yoga. In modern India, the element of creative preservation is represented by two great spiritual teachers Swami Vivekananda who founded the Ramakrishna Mission and Swami Satyananda Saraswati who founded the Bihar School of Yoga. And the innovative element is represented by three great spiritual figures of the modern age. Sri Aurobindo, Ramana Maharsi and J. Krishnamoorthy. 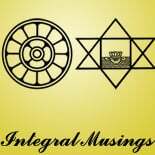 This entry was posted on August 25, 2014 by integralmusings in Religion, Spirituality & Philosophy.